At the most fundamental level a high converting sales page means more sales. Right? There’s a difference in sales between a page that has 1000 visitors and converts 2% vs. a sales page that has 1000 visitors and converts 10%. In dollars and cents let’s say that you have 1000 visitors and 2% of them buy your $100 product. Yes, we’re using round numbers to make the math easy. 2% of 1000 is 20. If you multiply that time your $100 product that’s $2,000 in sales. Let’s not jump right to 10% conversion rate just yet. Let’s say that you’ve taken strategic steps and increased your conversion rate to 5% (a very respectable conversion rate). Now you have 50 conversions or $5000 in sales. You can probably do the math from there and figure out 6, 7, and 10% conversion rates and sales. The point is that the same sales page (with a few tweaks) more than doubled your sales. It didn’t cost you any advertising fees, any affiliate fees, referral fees or other marketing dollars. You simply tweaked or fine-tuned some elements of your existing sales page and made more money. So, the importance of a high converting sales page is this…. ….a well written sales page, one that motivates purchases, is an incredibly cost effective way to generate sales and income. We’re also going to talk about the elements of a sales page. We’re going to go into a bit of detail about what you can test, track, and tweak to increase conversions. However, know that with the fundamentals that are provided in the "Read Me First Guide" in this template package, you’ll be able to start with a respectable conversion rate. 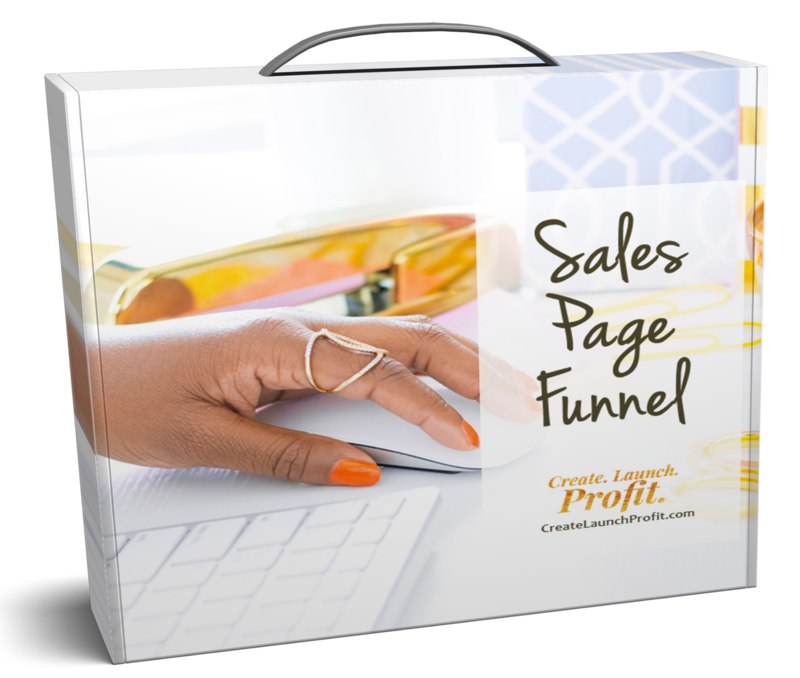 Oh yeah, this image was made using one of the product graphics included in your sales page funnel templates package - and I didn't need Photoshop to create it! You know the importance of having a rock solid sales page, but it can be difficult starting from scratch. 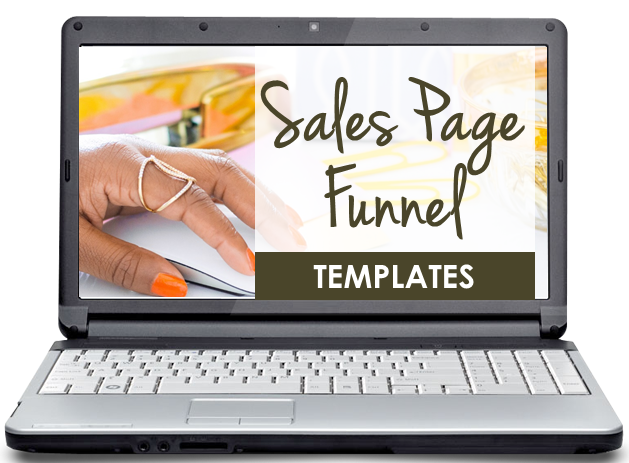 That’s why we provided this sales page template to make it easy for you to create your high converting sales page. Get a huge jump start with this template! There is also a huge graphics collection for you to jazz up your sales page funnel, including: arrows and bullets, add-to-cart buttons, guarantee seals, icon sets and product graphics. 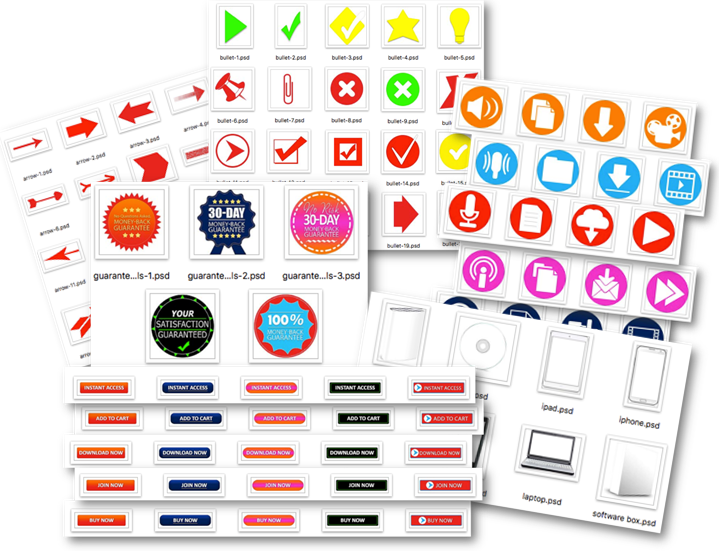 This bundle of sales page graphics will make your sales pages POP, enhance your professional brand, and entice more clicks.